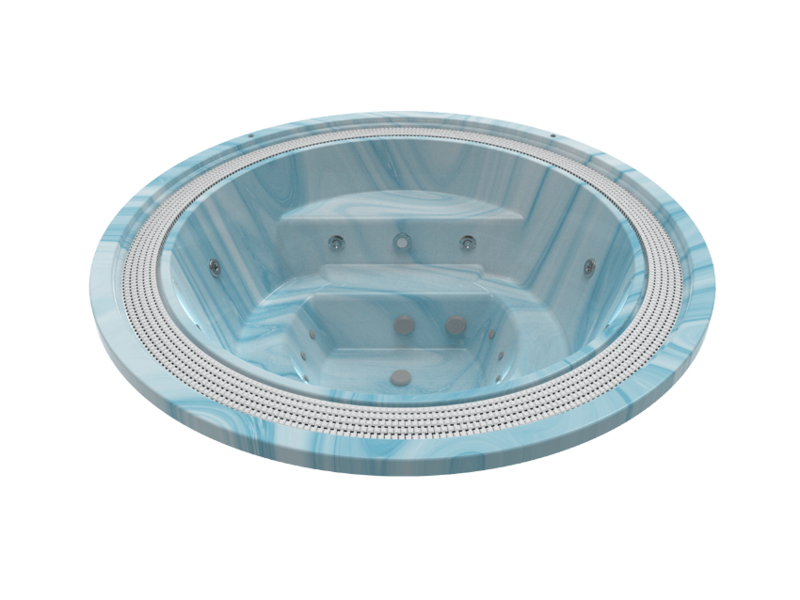 The Martinique is a reasonably-sized round hot tub (2.5 metres in diameter) and is the most popular professional hot tub for commercial use from Aquavia Spa. 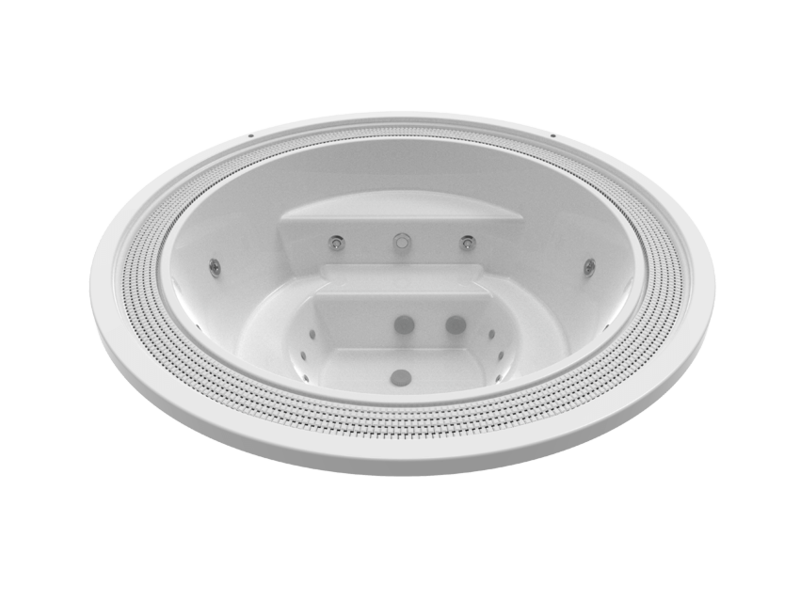 It is a 6-person hot tub that can be easily installed either indoors or outdoors, in businesses that are open to the public or in private residential areas. Buying a hot tub like the Martinique is a safe bet. The Spa Martinique provides all types of hydromassage with bubbles using the Relax Impact System designed by Aquavia Spa engineers, with optional LED chromotherapy (or underwater white spotlight in the standard model), among other options. It has a total of 8 hydrotherapy water jets (aimed at your back), with three different layouts distributed among the 6 positions and 12 pressurised hot air nozzles. It is an excellent general product for a very wide range of users. The Spa Martinique is a basic model from the professional range. It isn’t the top of the line in terms of power or variety of jets, nozzles or massage positions, but it is still the most popular because it is a practical, accessible and highly reliable product. It is a smart choice if you’re looking for a good complement to your personal care, sports or hotel business or establishment, or if you want professional hydrotherapy at home, with a high performance even in the case of high occupancy and intensive use. The external filtration system recommended by Aquavia Spa includes the option of adding an automatic chlorine dispenser and water pH control, as well as an ozonator for faster and more efficient water purification. Another option for saving energy is to buy an isothermal hot tub cover, which helps the water maintain its temperature. Weight of the hot tub: (empty/full): 208 / 1.578 Kg.